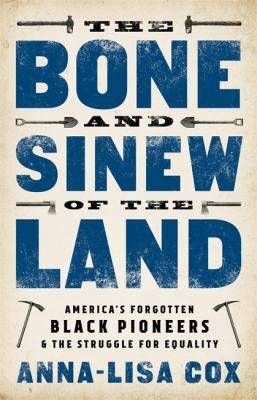 The story of America's forgotten black pioneers, who escaped slavery, settled the frontier, and proved that racial equality was possible even as the country headed toward civil war. The American frontier is one of our most cherished and enduring national images. We think of the early settlers who tamed the wilderness and built the bones of our great country as courageous, independent--and white. In this groundbreaking work of deep historical research, Anna-Lisa Cox shows that this history simply isn't accurate. In fact, she has found a stunning number of black settlements on the frontier--in the thousands. Though forgotten today, these homesteads were a matter of national importance at the time; their mere existence challenged rationalizations for slavery and pushed the question toward a crisis--one that was not resolved until the eruption of the Civil War. Blending meticulous detail with lively storytelling, Cox brings historical recognition to the brave people who managed not just to secure their freedom but begin a battle that is still going on today--a battle for equality.